In a major setback for the Afghan government and its international allies, the Taliban today assassinated the top political and security leadership of Afghanistan’s Kandahar Province—raising fears about further instability and chaos in the strategic southern region. Gen. Abdul Raziq, Kandahar’s powerful police chief and a close U.S. ally, as well as the intelligence chief, were among those killed by a gunman who reportedly served as the governor’s bodyguard. The governor was also wounded. The incident happened at a meeting where Afghan and American officials were discussing necessary preparations for this Saturday’s parliamentary elections. Gen. Austin S. Miller, the newly appointed U.S. commander in Afghanistan, was also present at the meeting, but he escaped unhurt. However, at least three Americans were wounded in the shooting that followed the assassinations. The Taliban claimed credit for the attack and added that General Raziq and General Miller were their key targets. The assassinations pose a significant challenge for the Afghan government at a critical time. 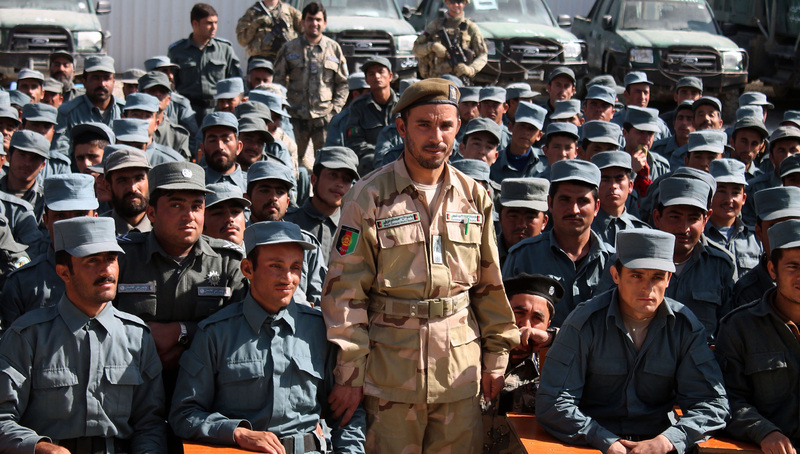 General Raziq was the most influential security and political figure in southern Afghanistan. While allegations of human rights abuses and corruption had been levied against him, he was widely praised by Afghans and Americans alike for stabilizing Kandahar and keeping the Taliban at bay at a time when the militants have made significant territorial gains in neighboring provinces. Kandahar is the birthplace of the Taliban and a potential deterioration of security in the province will have major spillover effects for the rest of the country, particularly the southern and western provinces. The assassinations will also undermine the parliamentary vote in the south, potentially denting voter participation and exacerbating political tension in the region. Over the past month, the Taliban have assassinated at least ten candidates and have made it clear that they will do their utmost to disrupt the elections. Yesterday, a prominent member of parliament from southern Helmand province was killed in a bomb attack. The attacks also come at a time when Washington has jump-started direct talks with the Taliban in the hope for a political settlement to end the war. But while the insurgents have agreed to talk with Americans about the withdrawal of foreign troops, they still refuse to negotiate peace with the Kabul government. The assassinations in Kandahar are also likely to deepen divisions within the Afghan government about the prospect of peace with the Taliban. The latest Taliban attacks also indicate that the Trump administration’s South Asia strategy, aimed at weakening the Taliban on the battlefield and compelling the insurgents to negotiate a political end to the conflict, has not yielded tangible results.